. It is often hard to believe the gypsy guitar work coming in through the ears is the work of one man. A steady rhythm of quarter or eight notes played by the thumb supports dazzling legatos of 64 or 1/128 notes skipped off the high strings with the fingers' nails. These diabolical runs are called rasqueados. This syncopating thumb often pushes out and snaps the fifth and sixth strings suddenly. Also, Montoya is adept at stunning, single-string escapades of vibrant tremolo while the syncopating thumb picks out a melody. 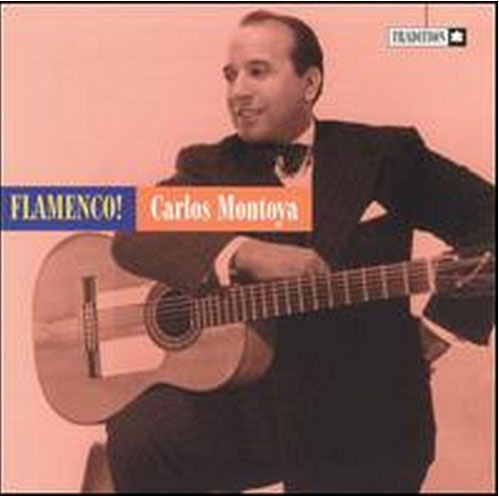 Such techniques bring many to ask whether Montoya is a performer or a musician. Regardless to what extent showboating occurs in Montoya's style, no listen to this compilation of analog recordings can be casual. The music is engrossing enthralling.